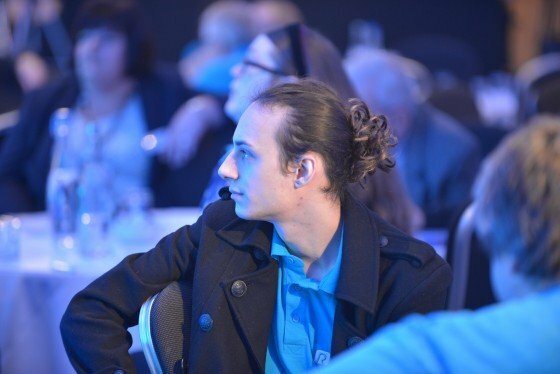 A young homeless man recently won an award from supported housing service Riverside Care and Support for his incredible achievements during a stay at one of their schemes. Stephen suffers from anxiety, ADHD and high-functioning autism, which means he can find it really hard to mix with people. He also has a physical disability that affects his muscles and joints, causing him pain and difficulty getting around at times. He was living with his parents, but found himself increasingly isolated, and often sat alone in his room, playing on his computer. His relationship with his parents continued to deteriorate, and he was asked to leave the family home. Despite his anxiety and mobility problems, he had no choice but to stay on his friend’s sofa. Thankfully, since moving into a scheme that we support, Stephen learned the skills that he needs to live independently. He’s achieved a fantastic amount, including paying rent regularly, managing a tenancy, cooking, cleaning, budgeting money, keeping appointments, and meeting regularly with his key worker to look at his support plan and discuss the targets that he has achieved. Stephen then got involved in the newsletter produced at the homelessness scheme. He even travelled from Birmingham to London to take part in a training course on newsletters and publication. This led to him being in the planning committee for an involvement day for homeless individuals staying in schemes across Birmingham. Stephen travelled a lot and met a huge variety of people. He overcame a lot of his fears and anxieties doing this, as well as having to sleep for days after to restore his energy. He deservedly won the Resident of the Year award from Riverside for his involvement and self-development in the face of his difficulties. You can see him above at the conference where he received his award. His relationship with his parents has improved considerably, and he has been able to find independent accommodation. Church Housing Trust was able to help fund his move into his own flat. It reduced the stress and anxiety of moving out of fully furnished accommodation into an unfurnished flat, and means that Stephen has managed to buy the necessary items that he needs to be able to set up a home.